That’s a really big, long model name for this MINI. 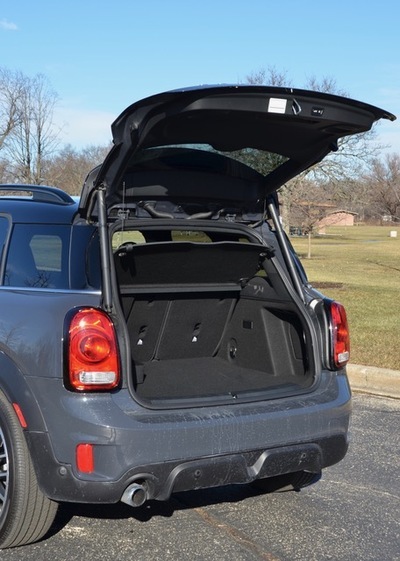 Actually, the Countryman is MINI’s biggest model with seating for five. This maxi-MINI is also well suited for big-city, urban use with its very manageable 169.8 inch length. And now even more urban friendliness is available in the plug-in hybrid version that has an all-electric range of 12 miles. My wife happens to own a MINI Cooper convertible. Granted, it’s fun in the warm summer sun. However, when running household errands it becomes a little space-challenged to find room for groceries, dry cleaning, some adult beverages, and so on. The Countryman, with its four-doors and rear cargo area doesn’t have that issue. 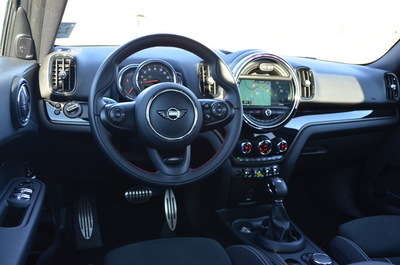 While at the same time the Countryman has all the driving fun characteristics of every MINI. MINI’s approach to all-wheel drive is interesting. A 134 horsepower 1.5-L twin turbo 3-cylinder gasoline engine drives the front wheels using a 6-speed Steptronic automatic. An 87 horsepower electric motor powered by a rechargeable 7.6-kWh battery pack drives the rear wheels. So, there’s a total of 221 horsepower at your command. Zero to 60 mph is in 6.7 seconds and top speed is 137 mph. In electric mode, top speed is 77 mph. Total driving range is 270 miles based on EPA test-cycle estimates. On the road only one of the two power units is used when the car is moving, while the other one can be additionally used at any time to optimize traction, ride stability and agility. The control for switching on the second power source comes from the stability control system. There are three driving modes. With a fully charged battery, standard operation and ideal for the city, Auto eDrive mode provides purely electric drive up to 55 mph. Then the gas engine kicks in. In Max eDrive, electric drive is up to 78 mph. Or, you can use Save Battery mode that drives the MINI with the gasoline engine to save battery charge. An example would be to drive on the highway into a city and then switch to battery operation. The 2019 MINI Cooper S E Countryman ALL4 (PHEV) is priced at $36,900. 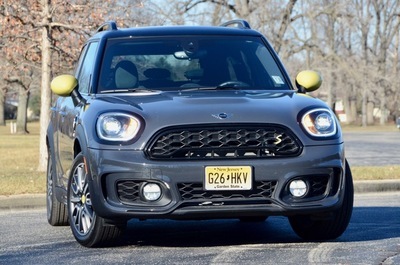 Plus there’s this: MINI Countryman Plug-In Hybrid owners are eligible for up to $4,000 in federal tax credits. In my week-with-the-MINI I drove in all three modes. I could easily charge the battery at a public Level-2 charging station nearby my home. In town, I used electric drive as much as possible. Out on the highway the gas engine kicked in and moved me along with prevailing traffic. The drive train delivers plenty of performance with good acceleration, highway on-ramp merging, as well as passing. As for the rest of the MINI, well, it’s very much a MINI. You sit low to the ground. The MINI handles like it’s on rails. 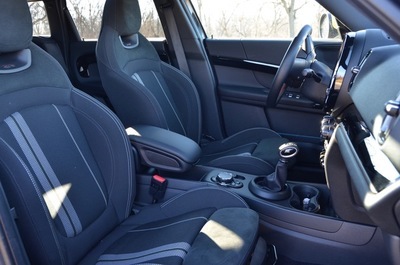 The cabin is quiet and the interior is fitted in premium materials. The seats are nicely bolstered. A hands free rear hatch makes loading easy. There’s 17.6 cu.ft. of cargo space. Or, with the split-fold rear seats down that opens up to 47.6 cu.ft. Pricing can climb depending how much you personalize the MINI. My media loaner was equipped with optional PHEV Sport Edition package for $2,900, Touchscreen Navigation for $1,700 and a John Cooper Works Appearance package for $2,000. Plus some other options it topped out at $45,750. More information and product details can be found at www.miniusa.com. Take note that the MINI Cooper comes with complimentary scheduled maintenance for 3 years or 30,000 miles. 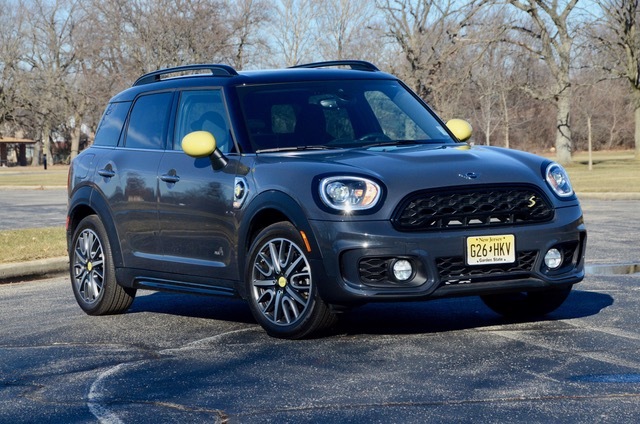 The 2019 MINI Cooper S E Countryman ALL4 (PHEV) is MINI’s first hybrid. The drive train concept is the same as used in the BMW i8, except it’s reversed from the i8 which has electric power to the front wheels and gasoline engine power to the rear. I expect we’ll see additional electrified MINI models in the future. As battery technology improves and cost goes down, and driving range improves, and we get more charging infrastructure more and more electrified drivetrains will come to market and be desired by consumers. The twelve mile electric range of this MINI plug-in hybrid may not seem like much at first blush. I’ve learned from experience that living in a densely populated city you actually don’t drive many miles to go about your routine household activities. 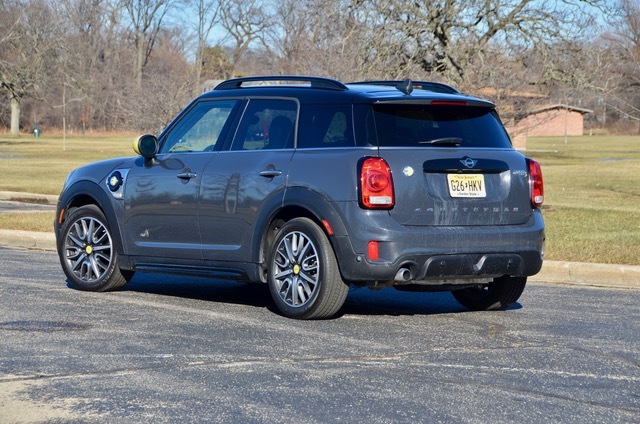 Suburban folks just might find this MINI perfect to get to the nearby commuter rail station. And, if you should need to take a longer trip, the gasoline engine will get you there without any range anxiety. Electric doesn’t mean slow or poor performance. Hybrid race cars have been winning races for the last few years. The Most In-Depth Consumer MINI Vehicle Shopper's Research - Anywhere!